Enter Here Entry to next weekend’s Fernhurst Books Draycote Dash closes end of play Sunday 11 November 2018, so be quick if you want to join the 70-plus boats already signed up to the first event of this season’s Seldén SailJuice Winter Series. Former Bloody Mary winners in an International 14, and national champions in multiple classes, Roger Gilbert and Ben McGrane have teamed up in a 505 for the coming season and are set to compete at Draycote Water in their new boat. Tom Gillard has previously won this event at the back of a 505 but this year is racing his Solo. Other notables include former Winter Series winners such as Michael Sims, back in a RS400 with Andrew George, and Nick Craig and Emma Clarke in a Merlin Rocket. Rachael Rhodes won in a Scorpion back in 2011/12 crewing for Peter Gray, and is set to crew for Grahame Newton this time around. Andrew Snell finished runner-up in last season’s Winter Series and is now joined by two other K1 keelboats. 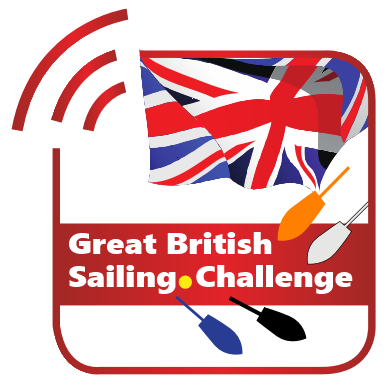 The K1s will favour lighter conditions whereas National Champion Kevin Hope and the other Fireballs will be among those to watch if it’s a windy weekend, as will perennial participants in the winter season, the father/daughter RS800 combo, Ralph and Sophie Singleton. Keeping in the family spirit being encouraged by this – the 10th edition of the Seldén SailJuice Winter Series – are the son/father team of Ben and Simon Hawkes in their Osprey. A few classes have targeted this event including the Challengers and Blazes who are out in force, along with the Hadron H2 with eight boats already entered for their winter championship. After a review last weekend of current water levels at Yorkshire Dales SC and anticipated rainfall, the Brass Monkey Steering Group have reluctantly concluded that water levels are currently too low to run the usual 100-boat event. Therefore it has been decided to restrict entries to 70 boats for the Selden SailJuice Winter Series Round 3. If you’re intending to compete in the 2018 Brass Monkey, best to enter now, particularly as the event is regularly oversubscribed even when operating at 100-boat capacity.